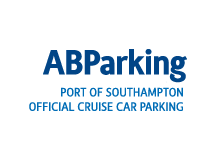 ABP Cruise Car Parking is the only cruise car-parking provider for Royal Caribbean, Celebrity Cruises, MSC, NCL, Saga and Fred.Olsen, which guarantees parking in the port of Southampton. All car parks are located in ABP Port of Southampton secure port estate. Travelling to the City Cruise Terminal is easy. Enter the Port through Dock Gate 8 or 10 and follow the signs to the terminal. Please note DOCK GATE 8 is closed between 01st – 30th September 2014 for the Southampton Boat Show; please use either Dock Gate 10 or 20 during this time. In 2007 ABP invested over £9 million in an extensive program of refurbishment and upgrade to the City Cruise Terminal. This investment enables the terminal to accommodate some of the largest cruise vessels afloat. Today you will regularly see such cruise vessels as Royal Caribbean’s Independence of the Seas & Adventure of the Seas, Celebrity Eclipse, Fred Olsen’s Balmoral, MSC Opera, Saga Pearl II sailing from this bespoke terminal. To find out more about the terminal and your journey at the port please scroll below. Travelling to the Mayflower Cruise Terminal is easy. Enter the Port through Dock Gate 10 or 20 and follow the signs to the terminal. A short stay car park is located directly opposite the terminal. (This is currently free of charge to use). Long stay car parks are located near the cruise terminal. There are a number of dedicated coach bays outside the terminal. Travelling to the QEII Cruise Terminal is easy. Enter the Port through Dock Gate 4 and follow the signs to the terminal. For over 40 years the QEII terminal was the home cruise berth for Cunard’s QE2. Today, the terminal continues to accommodate regular calls from Cunard’s Queen Victoria and Queen Mary. There is no viewing gallery at the QE II terminal. A dedicated undercover passenger ‘drop off’ area is located inside the terminal. A short stay car park is located directly opposite the terminal. Long stay car parks are located near to the cruise terminal. There is a dedicated taxi rank inside the terminal. Travelling to the Ocean Terminal is easy. Enter the Port through Dock Gate 4 and follow the signs to the terminal. Following the signing of a 20 year contract with Carnival, ABP invested £19 million in the construction of this bespoke fourth cruise terminal. The terminal officially opened in May 2009. On a cruise day members of the general public may view the vessel on berth from the passenger lounge. Long stay car parks are located around the cruise terminal.